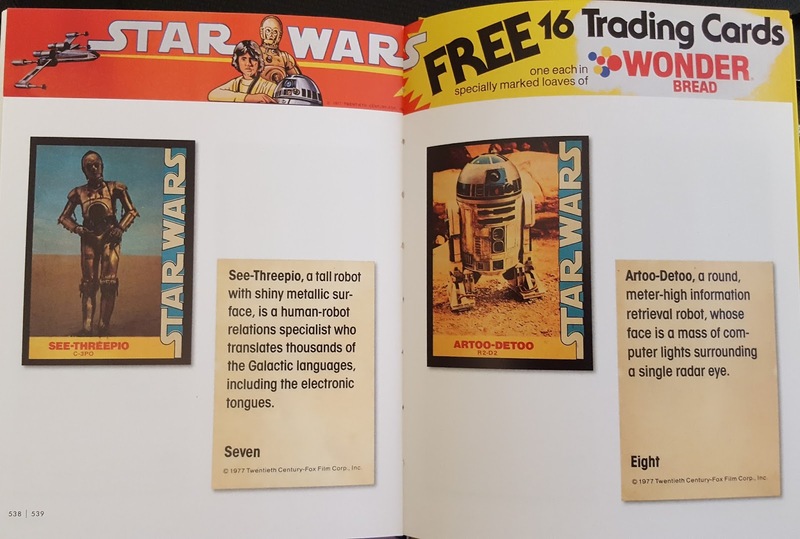 Trading cards were very important to kids in prehistoric world of no cable television or home video. 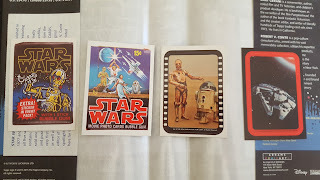 Kids like me, who was 4-5 years old when these cards were released. These Topps cards were the only game in town to remember and relive the Star Wars movies in the comfort of your own home. I didn't see the first movie until late spring 1978, so the cards and comics were how I first learned about this movie, building my anticipation to a fever pitch...and I was not disappointed when I finally saw the movie. One of my favorites from the blue set when I was a kid. Even many months after it's release the movie was a big deal. I remember my mom taking us to see it at the show and standing in a line that wrapped around the block of the two-screen movie house. No multiple screens or showings back then. We got in line for a one o'clock show and finally got up to the window for the 3:30 showing. I have never seen anything like that for a movie since then. I stuck this sticker on the door to the upstairs of my mom's house. She never said a word about it, nor did she ever remove it. It was there until I moved out of her house. It is impossible to overstate how huge of an event that this movie was to those who were too young to experience it. It was a cultural atom bomb on par with Elvis' swiveling hips and The Beatles performing on The Ed Sullivan Show. Star Wars, Kiss, and Queen...1977-78 were the zenith of Western Civilization, a cultural golden age that we'll likely never see again. I really enjoyed this picture as a kid. I'm not sure why. I had several packs of the blue set as a kid, while the red set was not sold on my end of town. I was unaware of their existence until 1984, and my mind was blown when I discovered this “lost” set. I had several packs of the yellow set, maybe two of the green, and only one pack of the orange set as a kid. My family was poor and my mom would occasionally buy me a pack of cards here and there. 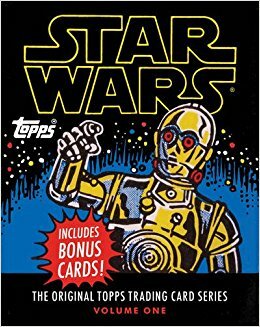 I treasured them, spending countless hours flipping through them and learning how to read partially by memorizing the back of the cards. The Wonder Bread cards were awesome. It was a blast to go through and relive the excitement of collecting these cards. The cards are all scanned, front and back. 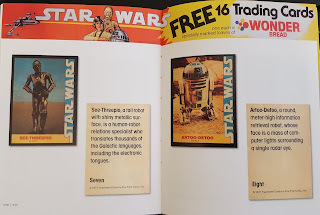 In 1987 I was able to get complete sets for under $10 each. 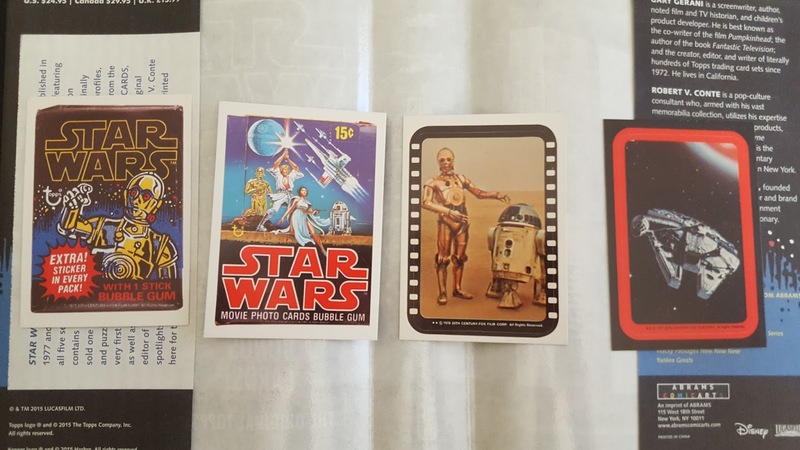 Sealed wax packs of the Topps cards were $1 each. I opened them and tried a stick of the then-10 year old gum. It crumbled to dust when it hit my tongue. 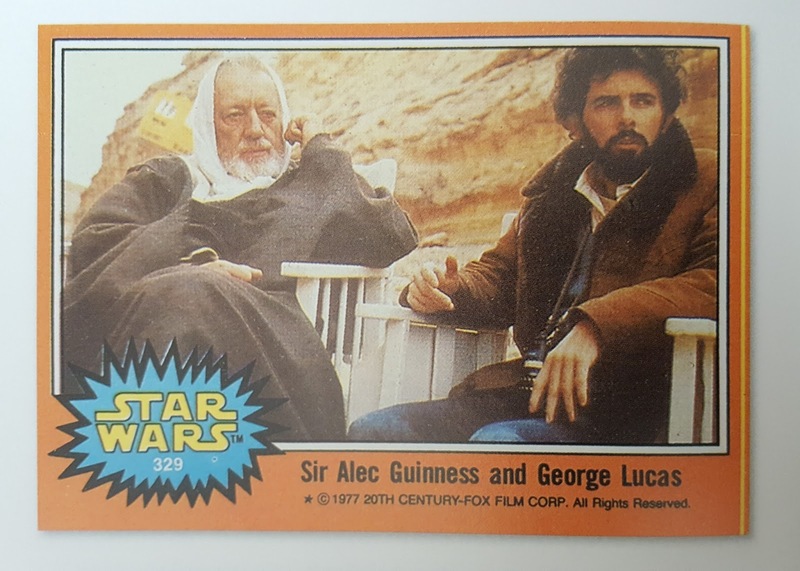 The Wonder Bread cards are included, which is a great bonus. I remember my brother taking every loaf of Wonder Bread off of the shelf looking for the missing cards to complete his set. I had most if not all of them back then. These are the four bonus cards, seen here laying on the dustjacket. There are four bonus cards included for reasons I cannot ascertain. 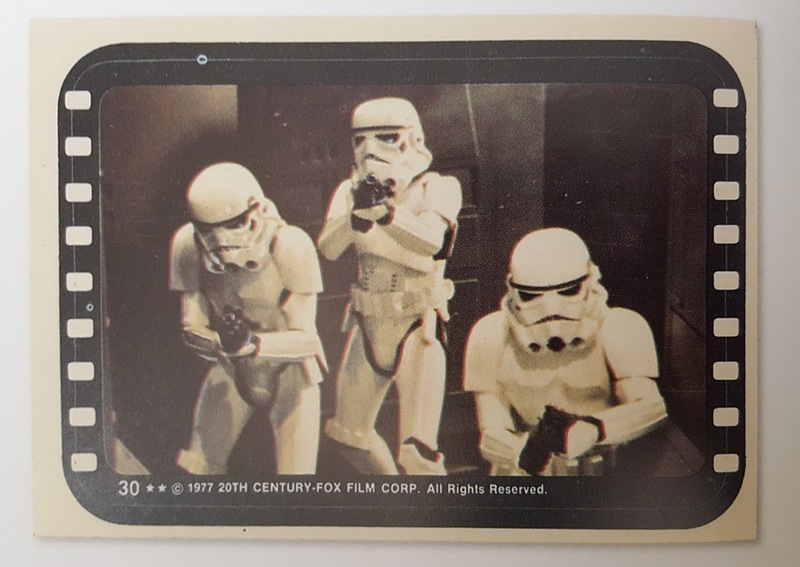 In an age of nearly limitless hard drive storage and images being a right click away it may sound silly to young people to pay for pieces of cardboard with an image printed on them. 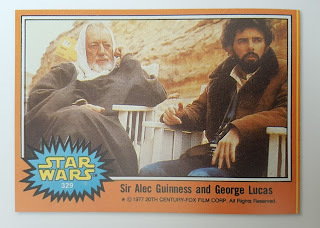 But these cards were and are a treasure. My son collects card games like Magic and Pokemon, so trading cards aren't dead, they have just changed into games that kids trade. 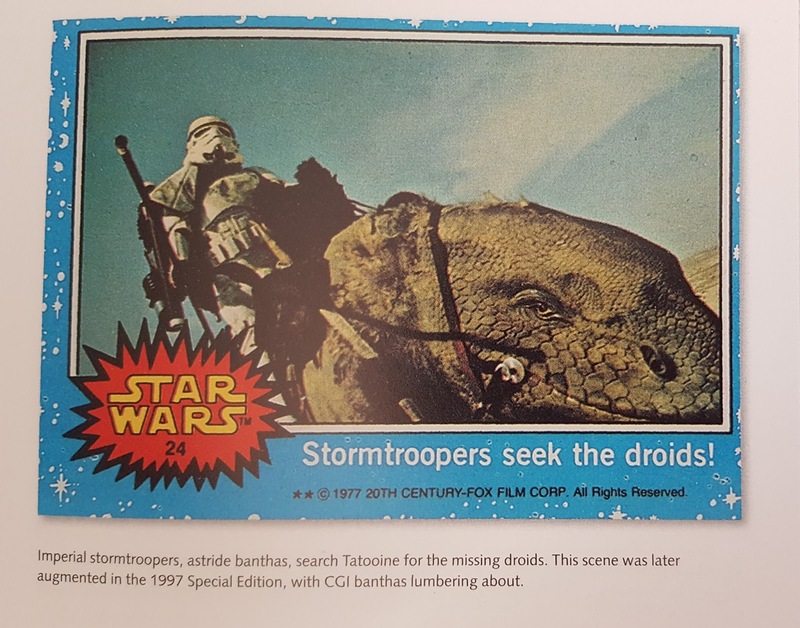 The days of Topps issuing mass market pop culture cards found in every convenience and drugstore in the country might be gone, but their place as an indispensable part of the original Star Wars experience and popular culture as a whole is secure. 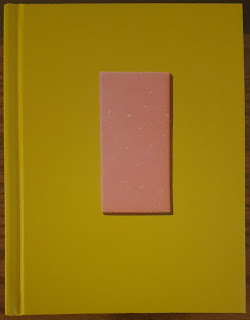 The OCD zone- This book is a small, chunky book. Binding: Sewn binding. The binding is very tight, requiring two hands to keep it open at all times. 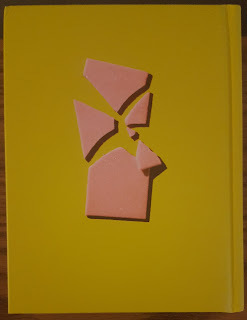 This is the result of the book block being glued square to the casing. On the plus side, there is no way that this book will ever fall apart. 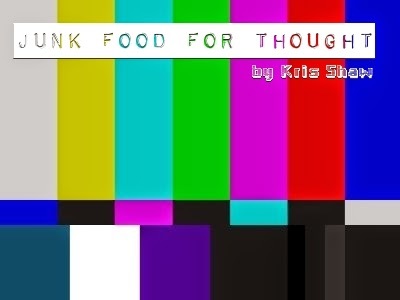 The denizens of 2148 will delight in this book, as it will surely outlast me. 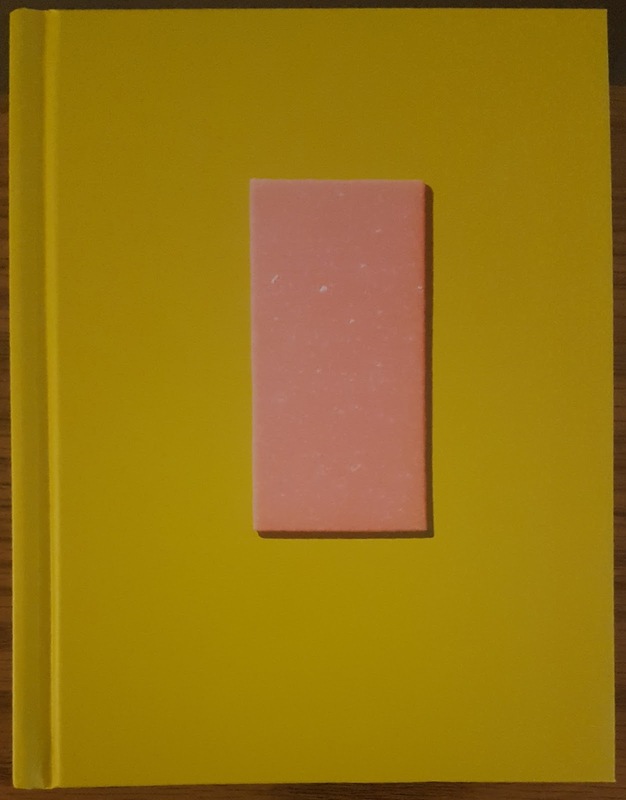 Dustjacket and Hardback cover notes: The dustjacket has a waxpaper feel to it, similar to the wrappers of the original cards. The image on the front of the paper casewrap is the stick of gum found in every pack of cards. 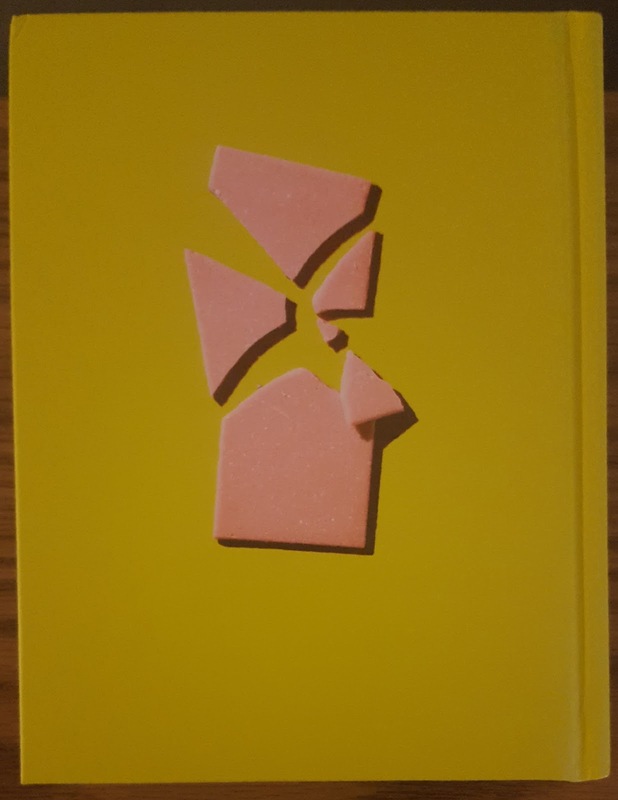 The back cover of the hardback shows the stick of gum broken. The casewrap has a matte coating.